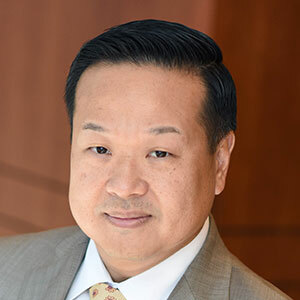 Edward S. Kim, MD is Chair of Solid Tumor Oncology and Investigational Therapeutics and the Donald S. Kim Distinguished Chair for Cancer Research at the Levine Cancer Institute, Carolinas HealthCare System in Charlotte, NC. Dr. Kim was previously at UT MD Anderson Cancer Center in Houston, Texas where he was a tenured Associate Professor of Medicine, Chief of the Section of Head and Neck Medical Oncology and Director of Clinical Research Operations in the Department of Thoracic/Head and Neck Medical Oncology. Dr Kim received his Bachelor of Science and medical degrees from the Honors Program in Medical Education (HPME) at Northwestern University and his fellowship in medical oncology at MD Anderson Cancer Center. Dr Kim studies novel targeted agents in the treatment and prevention settings and has expertise in lung, head and neck cancers. He chaired the Department of Defense Biomarker-based Approaches of Targeted Therapy for Lung Cancer Elimination (BATTLE) personalized medicine program in lung cancer. Dr Kim is the author or coauthor of more than 100 published articles, book chapters, reviews in journals such as Lancet, Lancet Oncology, Journal of Clinical Oncology, Cancer Discovery, Clinical Cancer Research Cancer, and Cancer Prevention Research, involving cancer therapeutics and prevention with chemotherapy and novel targeted agents, with particular emphases on lung cancer and head and neck cancer. 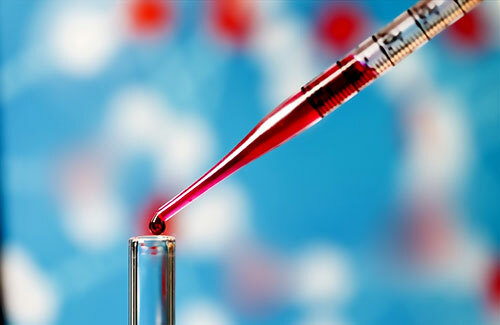 Liquid biopsies have tremendous potential for unlocking deep insights into the biology of a patient’s cancer in real-time. We have only begun to scratch the surface of what these technologies could enable. As we continue to learn more, what questions should we be asking and when do we start using the information from these technologies to guide our decision making?